Showing an employer you’re the best fit for the job may be one of the most vital resume writing strategies to your job search success. I hear from job seekers every day who express their concern about whether their resumes may be lacking something—or they know it’s too general. The truth is they’re right. Companies aren’t looking for generalists; they’re looking for specialists! Think about the last time you hired someone to provide a service for you. Did you hire someone who knew nothing about accounting and tax law to prepare your tax return? Or did you hire a tax preparation expert? Employers are searching for the perfect fit—and knowing you’re the best person for the job isn’t enough. You have to show the employer. You can use multiple means to validate fit on your resume—from how you craft your branding statement, to which accomplishments you choose to share and the way you write them. 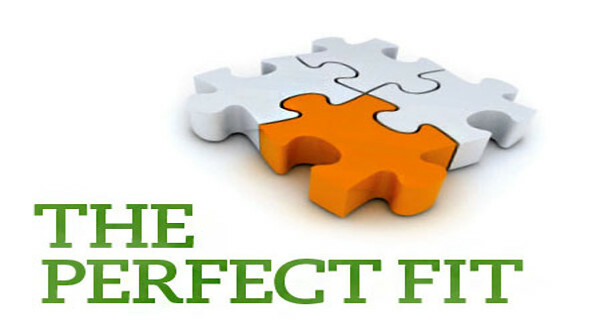 Here are four different ways that you can prove that you’re the perfect fit for the role. Start by finding the right company for you. You’ll have to know who you want to work for if you’re going to research how you fit into the company. This comes naturally for some; those people already know the exact company they want to work for, or at least the size of the company or industry. Some of you need to take some time and do some soul searching, giving it considerable thought. Once you have your short list, start doing your research. Okay, so you have a list of companies you’re interested in, so let’s dive in. The ideas in the article will help you to discover if a company and its culture are the best fit for you. Once you have your answer, and your research, you’ll know how you fit into the company and what you can offer it. Great, our research is done; we know who we want to work for and why. By now, you should also know the company’s bleeding need or biggest pain point—and you’ve probably already figured out how you’re the solution! Craft a personal branding statement around this information, using examples of how you’ve resolved the same problems for another company and how you positively impacted your client or employer. You can do this multiple times in your resume using different examples with different positions in your career history. We know you need to give examples of your fit on your resume—and another great way to prove you’re the best fit is by using visually engaging images. Create charts, graphs, or flow charts that support what you’re telling the employer—and then use them on your resume. (You could even create and utilize an infographic resume—one of 2016’s top resume trends!) Images are a powerful means of communicating information; they’re more easily recalled than content, they elicit emotions, and tend to stick with us much longer. You could even incorporate the company’s colors in your visuals depending on how creative you want to be. A successful resume (and cover letter for that matter) will prove you’re the best fit for the company and the position. Show the employer that you’re the right person for their culture, the department, and the position—and that YOU are the solution to their biggest problem. Struggling to write your own resume? Let’s chat! Visit my website, call my office at 1.800.991.5187, or connect with me on LinkedIn and let’s discuss how I can help you to create an interview-winning resume, cover letter, and LinkedIn profile that show the employer you’re the perfect fit for the position.